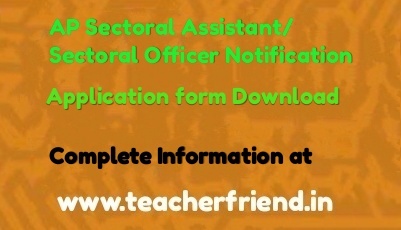 AP SSA Sectoral/Assistant Sectoral Officer Notification 2018 Download Application form/Online Application/Important Schedule Dates/Guidelines Download. AP SSA Amaravati Permission for providing of one Assistant Sectoral Officer post Notification 2018 for Community Mobilization Officer section in SSA, Kurnool District Orders Issued as per RcNo. 6401 dated: 01 -01-2018. In view of the circumstances explained by the Project Officer, SSA,, Kurnool District in his letter in the reference read above, he is hereby informed that his request for providing of one Assistant Sectoral Officer i.e Assistant Community Mobilization Officer in the 0/0 the Project Officer, SSA, Kurnool District is considered. Therefore the Project Officer, SSA, Kurnool District is requested to take further necessary action in the matter. This has got approval of the State Project Director, Sarva Shiksha Abhiyan, Andhra Pradesh.